WestJet stock is share ownership in WestJet Airlines. In the highly competitive airline market, WestJet has created a niche of its own, based in part on a company culture in which most employees are shareholders and passengers praise their friendlier service. WestJet Airlines (Toronto symbol WJA) serves101 destinations in North America, Central America, the Caribbean and Europe. Its fleet of 114 modern Boeing 737s are 30% more fuel efficient than older jets. In June 2013, the company launched WestJet Encore, its Canadian regional airline. This business now operates 30 Bombardier Q400 NextGen turboprop planes, which seat 78 passengers. The company has a great hidden asset in its workforce, which continues to refrain from unionizing in favour of directly co-operating with management. Its pilots rejected unionization with a new agreement in December 2014. And in June 2015 their almost 3,000 flight attendants voted 82% in favour of a five-year work agreement. The deal with the non-unionized Flight Attendant Association Board includes competitive wages, clearer work rules and a binding dispute mechanism. WestJet stock has a long record of profitability and a dividend that appears secure. Discover how to find the best growth stocks, claim your FREE digital copy of Canadian Growth Stocks: WestJet Stock, RioCan Stock and more now. 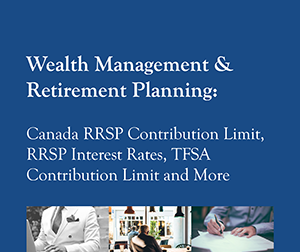 New 2016 FREE Report: Your complete guide to wealth management and planning the retirement you want: Wealth Management & Retirement Planning: Canada RRSP Contribution Limit, RRSP Interest Rates, TFSA Contribution Limit and more. 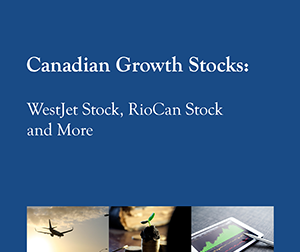 New 2016 FREE Report: How to discover growth stocks that keep growing: Canadian Growth Stocks: WestJet Stock, RioCan Stock and more.